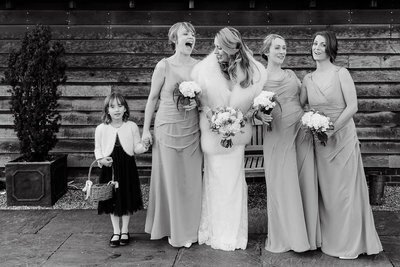 Best wedding photographer at Southend Barns in Chichester. I simply LOVE building business and websites. I love design, anything arty and LOVE photography, of course! Did you know, I also photograph families, babies and maternity - be it in a portrait style session or natural lifestyle for a documentary feel (my absolute favourite). I have even photographed childbirth and boudoir, as well as chefs in action, corporate and charity events and of course what I am more known for - Weddings! My regular haunt for Weddings is Southend Barns, they opened in 2012 and recently won the 2018 Best Barn Venue in the UK. I am a recommended supplier there and having photographed so many gorgeous weddings there I decided to open a website (another excuse for a design fix) dedicated to the photos I've captured while working at Southend Barns. If you're holding your wedding at Southend Barns then be sure to check out the website and get in touch as I offer a £100 discount to Southend Barns clients, being that it's my most local venue! My regular haunt for Weddings is Southend Barns, they opened in 2012 and recently won the 2018 Best Barn Venue in the UK. I am a recommended supplier there and having photographed so many gorgeous weddings there that I decided to open a website (another excuse for my design fix) dedicated to my photos created while working at Southend Barns. If you're holding your wedding at Southend Barns then be sure to check out the website and get in touch as I offer a £100 discount to Southend Barns clients, being that it's my most local venue! I simply LOVE building businesses and websites. I love design, anything arty and LOVE photography, of course! Did you know, I also photograph families, babies and maternity - be it in a portrait style session or natural lifestyle for a documentary feel (my absolute favourite). I have even photographed a baby being born, boudoir, as well as chefs in action, corporate and charity events and of course what I am more known for - Weddings! Visit my portrait and lifestyle website and make sure YOU'RE in your family photos - capture some memories for you and your loved ones. 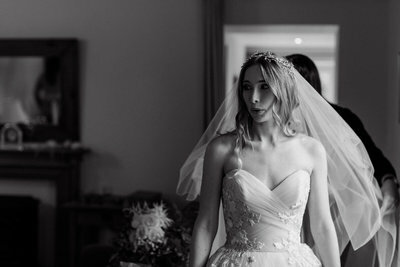 If you have booked me as your Wedding Photographer then this specially designed secret website is for you to access forms, wedding inspiration, my online magazine and more. Browse my portrait and lifestyle session website and make sure you're in your family photos - capture some memories for you and your loved ones. If you have already me as your Wedding Photographer then specially designed secret website is for you to access all forms, wedding inspiration and my Adorlee online magazine. With so may photos of weddings there and with it being one of my favourite venues, here is a website dedicated to my work at Southend Barns. Nestled down on the west sussex coast. capturing weddings across the south, uk and wherever you may take me!